Ok, enough with nostalgia. My summer this year was nothing but productive. Maybe I spent more time in my studio than outdoors, but I really like the outcome. First project I'm done with in june was Route 1. Next one was Platinum Ingot, my first top-down cardigan, which I was little bit intimidated of at the beginning, but everything went surprisingly smooth. Then I finally started on Bailiwick. 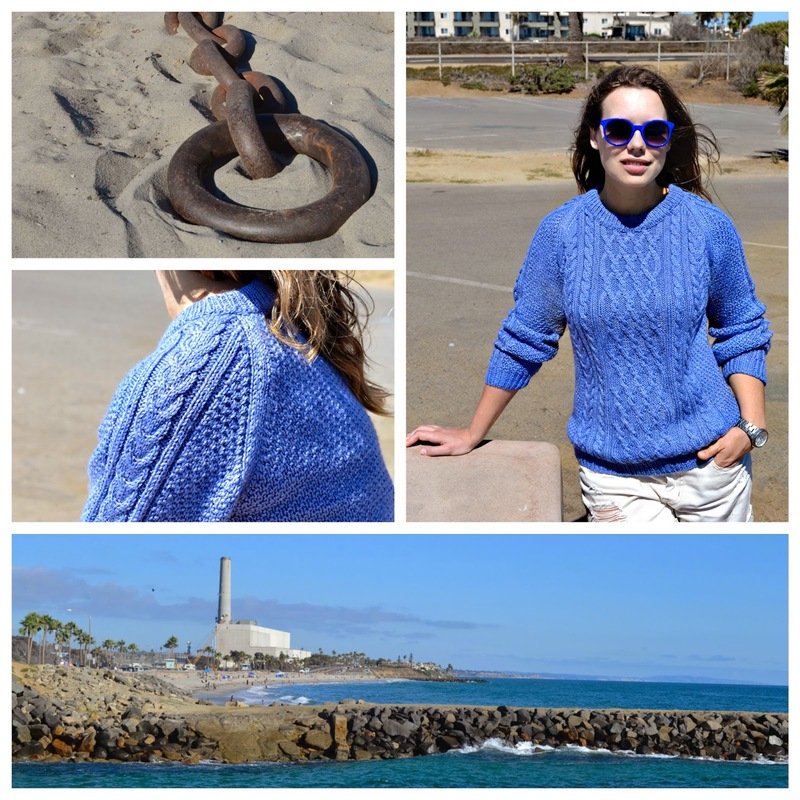 For some time I wanted to knit a modern version of traditional Guernsey sweater and this one was a love at first sight. Done in few days, it is immediately became one of my very favorite items. Next project in my queue was Brooklyn Tweed's (Carol Feller's, to be absolutely accurate) Pente. Neither my husband nor my best friend weren't excited about this design at first, but when they saw the finished cardigan, they liked it! (Or were too polite to tell the bitter truth, haha). Anyway, I adore it and had so much fun knitting it. Glenelly, Vireo and Russian Doll. And it seems like designing the sweaters is my thing! I really enjoying this process, so I hope there will be more :).